Whistler is North America’s largest mountain and offers something for everyone, all abilities and requirements are catered for here. So whether you’re a pro, an intermediate or just a beginner, Whistler is the place for you. The purpose built village is mainly car free, so no worries about traffic fumes and noise coming from a busy road. 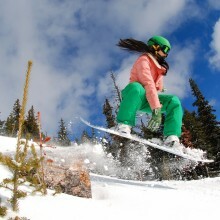 Whistler offers visitors excellent snow and skiers also have the added bonus of woodland runs, high bowls and glaciers. The village is ideally positioned at the bottom of the two mountains which are Whistler and Blackcomb and is 113km from Vancouver, on Canada’s west coast. The three main centres in Whistler are traffic free, with the resort being modern, tasteful and urban, with apartments lining the hillside. You can travel to Whistler village, Creekside and Upper village via the Peak 2 Peak gondola, which offers fantastic views as it takes you across the valley. Getting to Whistler’s two mountains is very easy all you have to do is hop on to a maximum of three lifts. In the village there are many shops, bars and restaurants to enjoy, there are also two gondolas here each one takes you to one of Whistler’s mountains. There is a pedestrian bridge that is located over an access road and this bridge links to the centre of newer Whistler village north, here you will find shops, restaurants and condos. If you want to go somewhere a little bit quieter head to Upper Village which is much smaller in size. Creekside is also quieter and smaller in size, but has recently been revamped and extended. There is the added benefit of a free bus service between Upper Village and Central Whistler, if you don’t fancy walking, although it’s not a long walk. Some of Whistler’s hotels also offer bus services that will take you out for the night and also pick you up. The views from Whistler’s two mountains are breathtaking with splendid views of the Fitzsimmons Creek Valley, the views will be even better when you’re on the Peak 2 Peak gondola, as it travels right across the valley. The upper slopes also boast excellent views of high, open bowls, ridges, glaciers and coastal sounds. The choice of accommodation is fantastic, catering for all tastes, requirements and budgets, you can choose from hotels, apartments, lodges and chalets. Some places worth thinking about include: Western Resort and Spa, Four Season, Fairmont Chateau Whistler, Crystal Lodge, Glacier Lodge and Pan Pacific Mountainside, to name just a few of the great places to stay in Whistler. There are great places to eat out in Whistler with a good range of restaurants serving good quality food catering for all tastes with high end, medium and budget ranges. The disadvantage is that supply doesn’t meet demand and the restaurants do get very busy, so make sure you book your tables early. Some places to mention include: Rimrock Cafe, Araxi, il Caminetto di Umberto serving Italian food and Ric’s Grill. There is something for everyone in Whistler, no one will leave disappointed. Whistler is lively and boasts a fantastic atmosphere, places to visit include: The Garibaldi lift company, Brewhouse, Longhorn, Dubh Linngate, Merlin’s, Dusty’s and Buffalo Bill, to name just a few of the great places Whistler offers its visitors. There are also clubs for the young and young at heart and some of these include: Tommy Africa’s, Maxx Fish, The Savage Baegle, Moe joes and Garfinkel’s. • Meadow park sports centre offers visitors a great range of fitness facilities. • Whistler offers many luxury spas with the latest one being the Scandinave Spa. • Great walks around the lake. Whistler is North America’s largest mountain and offers visitors terrain that caters for all abilities, so whether you’re just a beginner, an intermediate or an expert, Whistler offers something for everyone. Whistler’s mountains boast a combination of sheltered forest runs along with high, open bowls. Blackcomb and Whistler joined together form the biggest area of slopes and North America’s longest runs. To get to Whistler Mountain from the village you can take a two stage gondola that carries up to ten people, this gondola rises over 1100m to Roundhouse Lodge, which is located in the middle of the mountain. There are also two fast quads that will also take you up to Whistler Mountain. The stunning high, open bowls have got to be the jewel in Whistler’s crown, which you can see from Roundhouse. These open bowls are served by the fast peak and harmony quads. There is a bowl that’s beyond harmony and this is served by the symphony quad. Experts will love the bowls, with their go anywhere terrain. There are also groomed trails which enable anyone to see and appreciate the fantastic views that these bowls offer. If you’re heading to Blackcomb you must depart from Roundhouse, because this is the location of the Peak 2 Peak gondola that takes you there. If you’re in Creekside a six seat gondola will take you to Whistler Mountain. To get to Blackcomb from Whistler Village first you have to take the eight seat gondola, which is then followed by a fast quad. At the bottom of Blackcomb you can take two consecutive fast quads that will take you to the main Rendezvous restaurant, where you will find the Peak 2 Peak gondola’s departure point. Travel west from Rendezvous and experience fantastic cruising terrain and also the Glacier Express Quad that takes you up to the Horstman Glacier area. Travel right from Rendezvous and you’ll discover steep slopes, the 7th Heaven chair and also the terrain park. There is the 1610m vertical from the top of 7th Heaven down to the base and this is the biggest run in North America. From the Horstman Glacier there is a T- Bar that brings you to the Blackcomb glacier located in the next valley, which is away from all the lifts. Whistler has more fast lifts than any other resort in North America. However the gondolas provide visitors with the main access, along with fast chairs. The fast chairs are all quads, and there are no six packs or eight seat chairs, that are very common in the Alpine resorts. 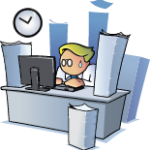 Queues can become a problem at peak periods that include Christmas, New Year and the weekends. In the mornings the routes that lead out of Whistler Village can get busy, other times it’s not usually a problem. Creekside doesn’t usually have many problems regarding queues but they can occur, once again mainly at peak periods. There can be queues for the Harmony quad and also the Peak and Emerald chairs which often have long waits. There are excellent terrain parks that accommodate all levels of ability, so whether you’re a beginner, an intermediate or an expert there’s something for everyone. Both of Whistler’s mountains have great terrain parks, with snowboarders heading off to Blackcomb which is home to the 2010 Olympic Super Pipe. This is more than 137m long with high walls that measure 5m. 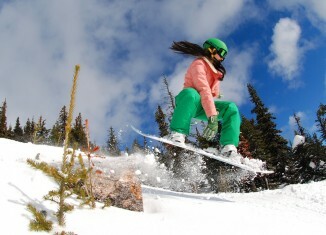 Boarders can also enjoy a real boarder cross course and also three more snow parks. If you’re a beginner then you should head to the Terrain Garden which offers small rails and rollers, there are great features for the kids to enjoy too. The M-L Nintendo Park is very large and is also the busiest. This park offers step up jumps, tabletops, rails, hips and boxes. If you’re an intermediate or an advanced rider then this is the park for you. If you’re a confident freestyler you should head off to the Highest Level Park which is part of the Nintendo Park, however you’ll have to wear a helmet, buy a special pass and also sign a waiver. This reflects the size of the obstacles that you will be encountering. Blackcomb also offers the Super Pipe and Mini Jib Park and Whistler boasts the Habitat Park, which is located by the Emerald chair. At the top of the slopes snow reliability is excellent with the yearly snowfall measuring 400inches. This amount is much, much more than the majority of the Colorado resorts, that’s how good it is here! However the resort itself is low and is close to the Pacific, this can result in poor snow and slush at the bottom of the slopes. Whistler boasts world class terrain parks with fantastic terrain for all you free riders. The bowls have great powder, steep gullies, natural hits, treeruns, cliffs and wind lips. 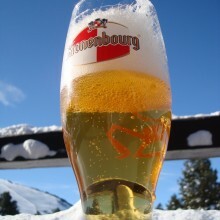 There are great groomed runs that are excellent for beginners, with the majority of the lifts being snowboard friendly. The glacier has T- Bars and great summer facilities for snowboarders. Showcase and Katmandu Boards are the specialist snowboard shops and offer everything you will need for your trip. The Camp of Champions is extremely popular in the summer. There aren’t many ski resorts that can rival Whistler’s mountains when it comes to what’s on offer for experts. The bowls on Whistler Mountain will keep any pro occupied for a very long time, thanks to the variety of the terrain and of course the challenges that come with this variety. If you’re a pro looking for great challenges to encounter then there are plenty to choose from, with the best being located around Flute, Glacier Whistler and West Bowls, with their go anywhere terrain. The slopes in Blackcomb are steep but they aren’t as extensive as the ones Whistler has to offer, however some of Blackcomb’s slopes are a little more challenging than Whistler’s. Head to Glacier Creek to encounter some extremely steep chutes you’ll meet these as you travel from the top of the 7th Heaven lift. There are 400 acres located below Whistler’s West Bowl to Creekside, with both mountains offering challenging terrain that take you through trees. 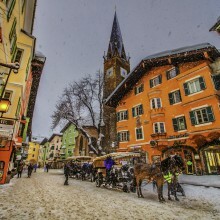 Experts can also enjoy backcountry guiding, heli-skiing and cat skiing. If you’re an intermediate you’ll think you’re in heaven when you arrive in Whistler, there is so much going on here for you. When the weather’s good you can try out the easier slopes that are located in the high bowls. One of the best runs for intermediates is down from Blackcomb Glacier which takes you from the top of the mountain and on to the Excelerator chair, which is over 100m below. This particular run is well away from all the lifts and measures 5km. There are also blue runs that are served by the 7th Heaven chair and these runs are perfect for intermediates to enjoy. You can also enjoy cruising runs just a little bit lower down and these runs take you through the trees. Whistler Mountain also has lots to offer including the ridges and bowls that are served by the two quads that are Harmony and Symphony. These bowls and ridges offer excellent terrain on and off piste, perfect for practicing your skills. The Peak to Creek blue run is very good and is 7km long. The Green Burnt Stew Trail also has lots to offer intermediates including easy off piste terrain along with stunning views. As you travel further down Whistler Mountain you’ll discover a wide variety of groomed blue runs, ideal for intermediates. The fast chairs that are located here will take you back up to the top of the gondola. These runs are perfect for cruising. If you’re looking for a long run you must try Dave Murray Downhill which takes you from the middle of Whistler Mountain to Creekside. Whistler boasts many fantastic nursery slopes that you’ll find by the mid station of the gondola. Blackcomb also offers good nursery slopes which are located at the base. Whistler Mountain and Blackcomb both have excellent offerings higher the mountains. There are no free lifts for beginners but they can take advantage of the lesson and lift pass deals that are for beginners. There are some great gentle runs on Whistler that go from the top of the gondola. Blackcomb has green runs that take you from the top of the mountain right down to the bottom. Beginners will find that the top parts are especially gentle however there are pitches that become steeper lower down. If you want cross country you can enjoy over 28km worth of tracks located around Lost Lake. Conditions here can be unpredictable due to its low altitude. There is the Cross Country Connection which is a specialist school that offers rental, tours and lessons. Cross country pros can enjoy the Whistler Olympic Park which boasts 70km worth of trails. Whistler and Blackcomb offer a great variety of restaurants, there is so much demand however that many places are often overcrowded, especially at busy periods. There is the Rendezvous in Blackcomb which is very large and can seat up to 850 people. Christine’s is very good some people say it’s one of the best. Glacier Creek seats 1,496 so once again it’s huge and Roundhouse which is located on Whistler seats a whopping 1,740. There are smaller places to enjoy including Crystal Hut and Horstman Hut which are both located on Blackcomb, each of these places enjoy fantastic views. Raven’s Nest is a cafe/deli and boasts friendly staff and The Chic Pea and Harmony Hut are specialists in stews. There are many guides and schools available including Ski Esprit Groups, they offer guiding along with instruction and usually run for three to five days. 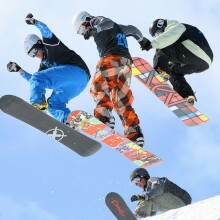 There is also a good variety of specialist clinics as well as snowboard classes. You can also enjoy Backcountry daytrips and overnight touring. If you’re looking to boost your skills or just want to try out Whistler’s excellent terrain that’s both steep and deep then why not try Extremely Canadian? 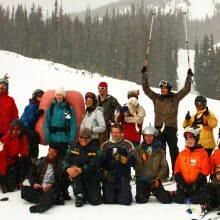 They specialise in guiding and coaching skiers. Blackcomb and Whistler offer very impressive facilities for children and families, with so much to do. The Magic Chair is slow moving and gets children part way up Blackcomb Mountain. The chair is located at Blackcomb’s base. There is a great kid’s only area that can be found on Whistler Mountain, you’ll find this by the gondola mid station. Blackcomb also has The Children’s Adventure Park and Magic Castle, not forgetting the Great Wall Climbing Centre.